We have business advisors and mentors who understand restaurant and food services businesses and would like to help you grow or start yours. Here are selected ones. Dan Pollack – 40 years working for and owning one of largest wholesale suppliers of high quality meat products nationally and internationally to top resorts, steakhouses, clubs and restaurants. Experience in purchasing, sales, pricing, production. ==> Find a business mentor near you! Local Social Media Marketing With Facebook and Instagram Best practices to do local social media for a Pizza Parlor. Excellent post. If you are in the city of Chicago, you will want to check all the restaurant specific resources on their website. 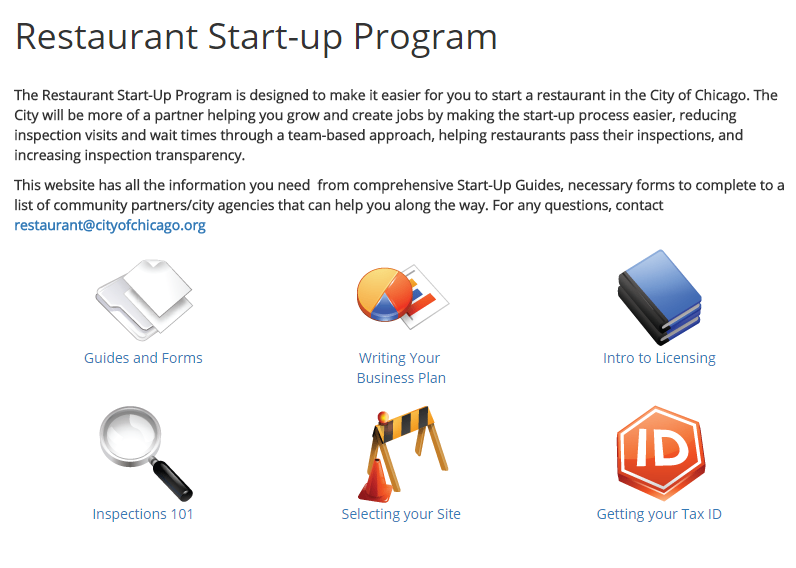 They include a sample business plan for a restaurant, which you can download here.